I’m a fan of Mae Clair’s Weathering Rock and Twelfth Sun so buying her novella, Solstice Island, was a no-brainer. I was not disappointed. I loved the mythical aspect of the Sea Goliath as well as the heated romance with her intriguing characters. Her descriptions allowed me to smell, taste, and feel the ocean’s salty breeze. I thoroughly enjoyed this fast-paced adventure. 5-Stars! Mae Clair combines her love of mythical creatures and the sea to bring us a toe-curling romance between a hunky Charter Boat Captain and a spunky cryptozoologist—each harboring secrets of their own. This gripping adventure kept me turning the pages from its very beginning, to its most satisfying epilogue. Well done, Mae Clair, well done! Raise your hand if you know what cryptozoology is or what a cryptid hunter is? Hint: think Lochness Monster, the Sea Goliath or some other leviathan. I admit, I had NO idea until I read Mae Clair’s Solstice Island! Mae Clair has used her magic imagination to create a romantic tale of adventure, mythology, and tales from the sea, and molded it into a wonderful, warm read that captures the imagination while giving a good tug on your heart strings. Get ready for a seafaring adventure that only those who lived it can truly believe as their lives are changed forever. 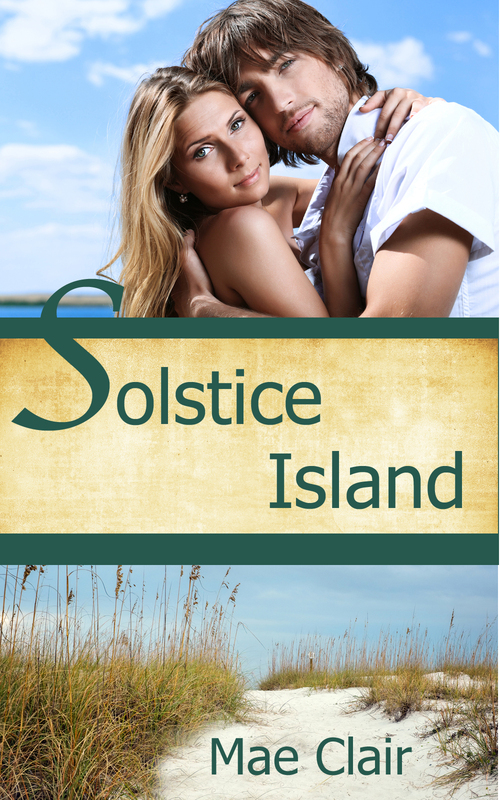 Solstice Island is a superbly written novella that balances romance and mystery perfectly. It’s hard to develop characters in novellas (speaking for myself here), but Mae does it so well. I felt like I understood her characters’ goals and motivations, and I sympathized with them at every plot twist. The hero, Daniel, has scars that only Rylie can heal, and she does so with compassion and just the right amount of refusing to back down. A fast paced, engrossing tale. Convincingly built around a somewhat obscure field of research. A very relatable landscape populated by well developed characters. Plenty of twists and turns to keep you guessing. All in all, a fun, fast paced read that leaves you wanting more. With instant chemistry between the hero and heroine, a hint of a mystery and a crypto-creature, I was hooked from the first page. This novella had great pacing, a vivid setting, and well-developed characters. I enjoyed it and recommend it if you are looking for a fun adventurous romance!